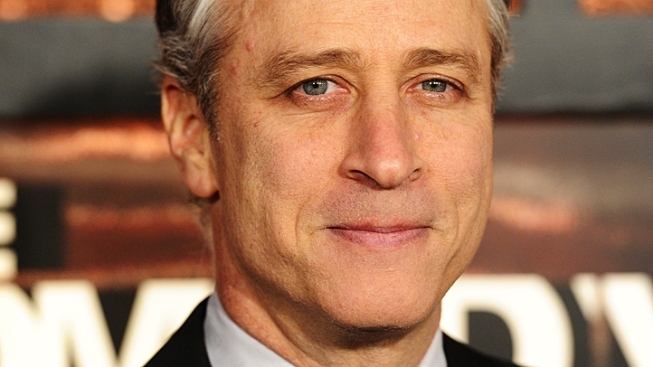 Mitt Romney and the GOP are a perfect internet dating site match, says Jon Stewart. Mitt Romney's GOP rivals aren't the only ones piling on the front-runner over his wealth. Jon Stewart did the same — but also gave Romney a curious defense. Stewart made a crack about Romney's wealth, too, pointing to Romney's account of his pleasure that even though he'd lost a Senate race to Ted Kennedy, he'd cost the Kennedy campaign a pretty penny in the process. "You forced Ted Kennedy to mortgage one of his houses? What a weird, rich-guy thing to brag about," Stewart said. But the rest of the GOP field is being hypocritical when it criticizes Romney for using his wealth, he added. "Mitt Romney is the pure distillation of conservative economic policies," he explained. "It's like Mitt Romney answered the Republicans' eHarmony ad."